In the fiscal year 2010, Festo's global sales climbed 37% to € 1.8 billion (prior year: € 1.3 billion). 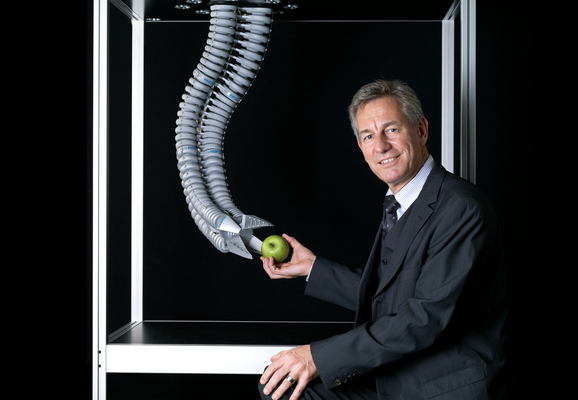 In Europe – traditionally Festo’s largest market – the company raised sales by 31%. Asia grew by 75%, North and South America by 45%. On the domestic German market, sales began modestly but then climbed rapidly to 33% for the year as a whole. In Festo’s new business fields, Process Automation posted sales growth of 25% while Electric Drives enjoyed growth in excess of 90%. In addition to its European activities, Festo has also been realigning its overseas business since 2010 in order to fully exploit growth opportunities in newly allocated global markets. As a family-owned company, Festo aims to strengthen its financial independence and align its global supply chain in such a way that it can react even more swiftly and flexibly in future to highly volatile international markets. The Electric Drives and Process Automation divisions are to be expanded further, together with industry-relevant training and consulting, in order to provide a full range of products and services as well as one-stop-shopping solutions from Factory to Process Automation. Global headcount rose to 14,600 in 2010 (prior year: 13,500), of which 6,800 people (prior year: 6,600) were employed in Germany and 7,800 (prior year: 6,900) abroad.